Retiring and moving onto the next stage of life is a welcome sight for most people, but living out a happy retirement takes effort and planning. Here are 11 tips along with some resources to help you achieve that goal. Retirement should not revolve entirely around your finances, but if they run short at the end of each month, it certainly can add stress to what should be a wonderful time in life. Here are some free resources. You can also use investing tools such as a dividend reinvestment calculator to see the value of future investments with and without reinvesting dividends. Have a social network. After leaving the office where you have had constant contacts for many years, retirement may mean you have to reach out to family or friends. Here are some opportunities to keep socially active. Sending cards is also a great way to stay in touch. If you know someone retiring soon, happy retirement wishes go a long way. You can stay connected with old coworkers. Retirement is the time you can travel or work on projects of your own choosing, and being able to do those things comfortably will require you to take care of yourself. Keep up with regular checkups, eat a balanced diet, and exercise regularly. Moderation is the key to food and exercise, so enjoy everything, just not all at once. A classic retirement gift idea is a pocket watch. But you do not necessarily have to wake up early. And it is healthy to keep some type of schedule. Having a schedule means that you have a purpose to get out of bed. Have some future events planned, keep a calendar and try to fill a few days with scheduled appointments and meetings. You can set up game nights with friends. It keeps the mind active and improves social ties. You can also do this on a low budget. Retirement is the perfect time to clean out your desk, closet, and garage. Most people collect things from the office and schools throughout the years. Before retirement, there was no time to deal with them. Decluttering can be refreshing and open up some space for new hobbies. Donate any useful items to charities. Decluttering and organizing can help lead to a happy retirement. It will make things easier for both you and your family. Being part of a community is important. It goes hand in hand with socializing. Some easy ways to stay part of a larger group include keeping up with your political party or your favorite sports team. Nutrition is one area that can slip through the cracks. Diet plays a significant role in staying healthy. Cooking real food at home means you will be getting quality ingredients. Pick up a cookbook or watch cooking programs to get inspiring ideas. If you need help, find out if your city has a Meals on Wheels program or senior cafeteria. Harvard Medical School reported that having a pet increased the quality of life for most people. Having a dog may get you out for walks and to dog parks to visit other dog owners. If you do not want a pet or cannot have animals, plants can be an alternative. Caring for potted plants, herbs, flowers or an entire garden can be as rewarding, and you can share the extra fruits, vegetables, or flowers. Don’t lose touch with technology. That does not mean you have to be on every social network ever made, but you do want to be aware of apps or devices that might benefit you. Local libraries often offer classes that teach new computer skills. 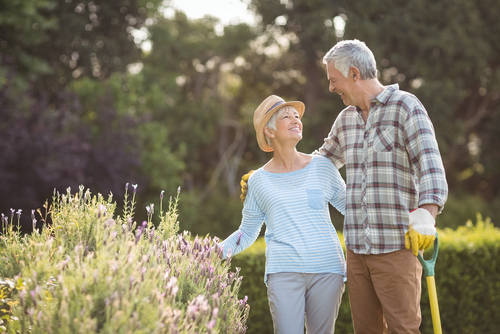 These 11 tips cover activities and hobbies that will help foster a long and happy retirement. If you have any comments, please share below. You can also access our list for the top 50 retirement quotes.